ohn McMurray is a Professor of Medical Cardiology at the University of Glasgow and Honorary Consultant Cardiologist at the Queen Elizabeth University Hospital, Glasgow. Professor McMurray received his MB ChB (Hons) and MD degrees from the University of Manchester. His primary research interests include heart failure, atrial fibrillation, and the cardiovascular consequences of diabetes and chronic kidney disease, with a focus on clinical trials and epidemiology. He has chaired and participated in numerous clinical trial executive/steering and data-monitoring committees and currently chairs the event adjudication group at Glasgow University, which has served as the endpoint committee for many trials. Professor McMurray was the lead author of the World Health Organization and first Scottish Intercollegiate Guidelines Network Guidelines on the Management of Heart Failure. In addition, he was a member of the 2008 European Society of Cardiology Heart Failure Guidelines Task Force, Chair of the 2012 Task Force, a member of the 2013 American College of Cardiology/American Heart Association Heart Failure Guidelines Committee, and a member of the 2014 National Institute for Health and Care Excellence (NICE) Acute Heart Failure Guideline Committee. He is a member of the editorial board of the New England Journal of Medicine and sits on the editorial boards of several leading cardiovascular journals, including the European Heart Journal – where he is an Associate Editor – and Circulation. 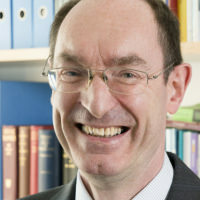 He has published over 750 original papers, reviews, and book chapters (see: https://scholar.google.co.uk/citations?user=n0ZdRMoAAAAJ&hl=en). Professor McMurray was included in the 2015 and 2016 listing of Highly Cited Researchers by Thomson-Reuters (see: http://thomsonreuters.com/en/articles/2015/research-elite-2015-highly-cited-researchers.html and http://hcr.stateofinnovation.com/). He is a member of NICE Appraisal Committee A.